Luc is also Professor of Philosophy in the Philosophy, Logic and Scientific Method department at the London School of Economics and Political Science (LSE). 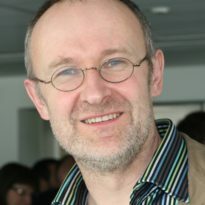 From 2002 to 2007, Luc was Editor of Economics and Philosophy. From 2002 to 2005, he was Director of the Research Group, Philosophy, Probability and Modelling, the University of Konstanz. From 1990 to 2003, he was situated in the Department of Philosophy at the University of Colorado at Boulder. He has a PhD in Philosophy from the University of Minnesota.